Clean and simple. In a single, sweeping line, the 230-centimeter-long body follows the outline of a parabolic curve. The new shape is highlighted by a chrome outline. This new frame line is contrasted from the main body with some chrome elements, which are displayed again at the lower end of the legs. 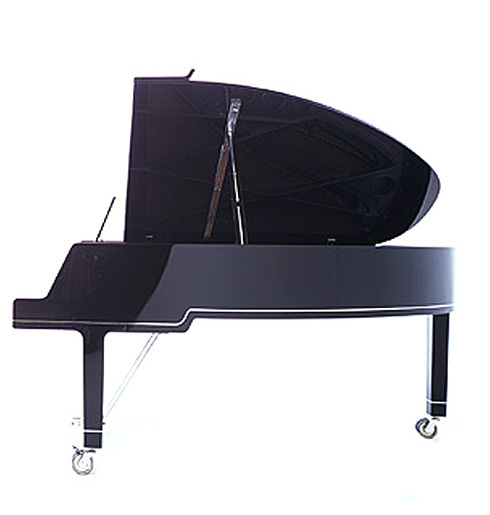 The cheeks at the side of the keyboard merge gently into the slanting front of the grand piano. The closed lid melds into this form beautifully. The space between the outside curve and the existing metal back (sounding body) creates an interior elliptical surface in which the lid support is recessed. The support can be rotated and its height adjusted. The lyre gives a light and transparent impression. Its new profile is a product of the chrome steel strip from which it is fashioned. 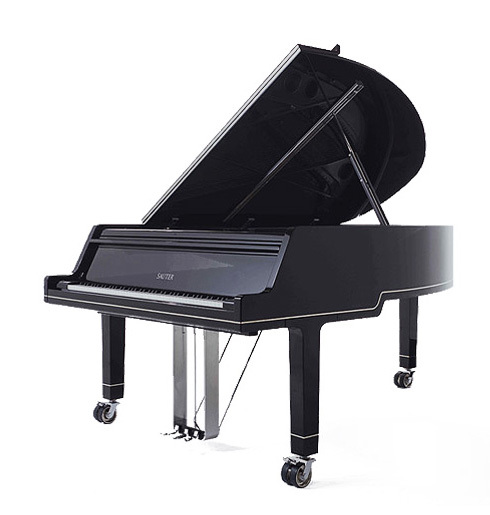 According to Peter Maly, "Everything about a grand piano should be elegant and gently rounded, designed to flow, clean and simple." When it is open, the fallboard folds flush into its flat, angled niche, resulting in a formal and appealing solution. 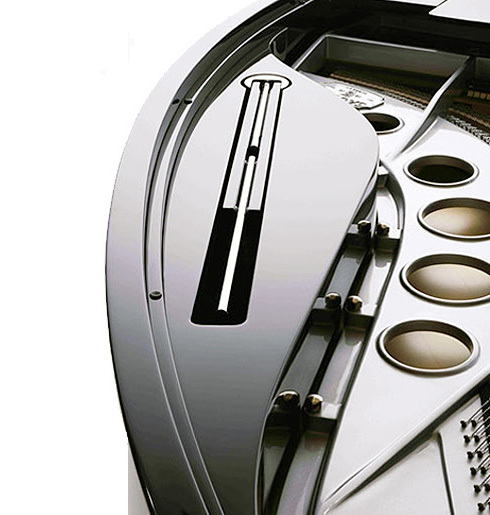 The numerous innovations in design and shape lend the Ambiente grand piano its fresh appearance. All fittings and casters are chrome plated.